July 30. Walking from their communities to Comitán de Domínguez, the peoples make a call for the defence of Mother Earth, the water, the forests and the jungles that they inhabit ancestrally and for their culture and their right to be Original Peoples. July 29. The indigenous peoples in the municipality of Las Margaritas in Chiapas, undertook ​​the Pilgrimage for Peace, for life against violence and dispossession. 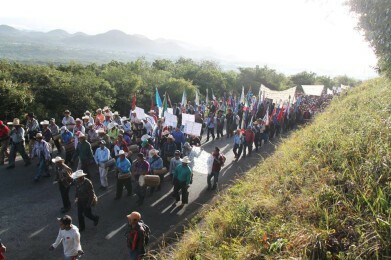 The pilgrimage and the subsequent meeting were organized by the pueblo creyente, the pastoral team, deacons and coordinators of the Tojolabal mission, to express their dissatisfaction and to unite their forces to enable them to confront the violence they experience in their communities and the issues that come with the structural reforms. 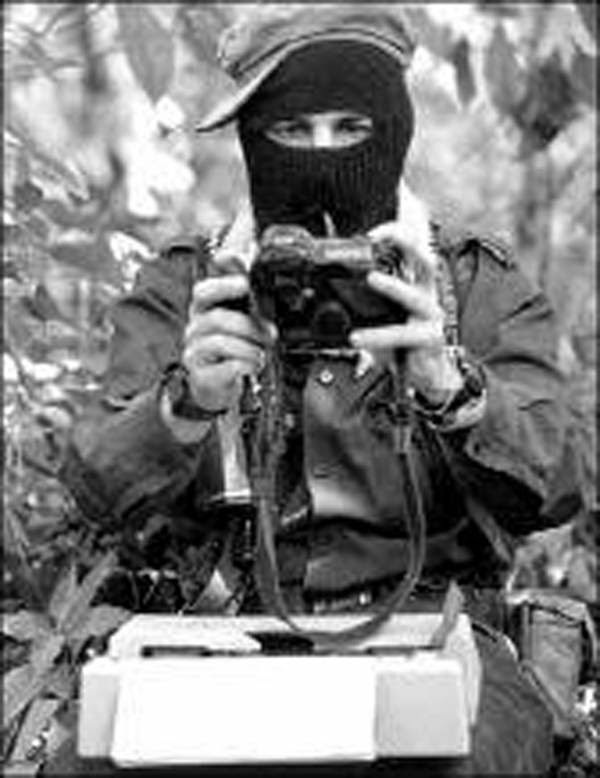 Walking from their communities to Comitán de Domínguez, the peoples made a call for the defence of Mother Earth, the water, the forests and the jungles that they inhabit ancestrally and for their culture and their right to be Original Peoples. They are calling for the prevention of transnational corporations from plundering their territories and Say No to mines, hydroelectric dams, oil exploration and maíz criollo. The gathering of the peoples who participated in the pilgrimage agreed and asked others to consider and reflect on the reality of Mexico and continue organising from below.